Tina has had many years of teaching Mindfulness – but feels that ultimately she has had many years of Mindfulness teaching her. Trained in Mindfulness-Based Stress Reduction (MBSR), and Mindfulness-Based Cognitive Therapy (MBCT) she has facilitated programs within the Education System, Cancer Support, Women’s Health and the general community. She has a sound knowledge of health and education stemming from years of experience working with diverse populations in the roles of Kinesiologist, Health Care Worker, Rehabilitation Counsellor, Clinical Educator and Paramedic. Tina is passionate about bringing mindfulness to children. Having completed K-12 Curriculum Training with Mindful Schools and with Amy Saltzman’s Still Quiet Place Training, Tina facilitates these 8-week programs within local primary schools. 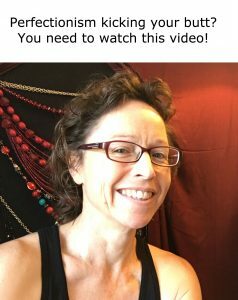 Tina is a trained Mindful Self Compassion (MSC) teacher, having facilitated numerous 8-week programs, and co-taught with Kristy in the first Adelaide MSC in 2014.